The new iPhone 7 and iPhone 7 Plus can't come soon enough for Apple, as the once bulletproof Cupertino company has a second straight quarter in earnings and revenue decline. 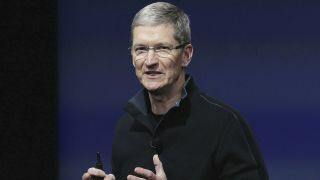 Apple's sales for the June quarter were $42.4 billion (about £32.3, AU$56.4), with a takeaway net income of $7.8 billion (about £5.9, AU$10.3). That's a 27% drop over last year's figures. Its fallen earnings aren't a surprise by now. Apple's latest product sales numbers have slumped, with its most recent totals being 40.3 million iPhones, 9.9 million iPads, and 4.2 million Macs sold. The smaller iPhone SE launched in March 2016, but it's sold at a cheaper price. That's not going to boost revenue, even if there's a slight uptick in overall iPhone sales in the long run. The iPad Pro 9.7, on the other hand, is more expensive than the iPad Air 2 and therefore saw a pop in revenue, but the overall iPad sales have dropped three straight years in a row. iPhone 7 to the rescue? Apple could use a big boost, and the good news for CEO Tim Cook and company executives is that all of the iPhone 7 leaks point to a new phone launch in September. It's supposed to sport a better camera – maybe even a dual camera in the 7 Plus version – feature some degree of waterproofing, and start with a 32GB configuration, axing the 16GB nightmare that many iPhone 6S and iPhone 6S Plus users currently deal with. Launching a new iPhone in 2016 isn't necessarily a guaranteed plan to reverse Apple's downward sales trend. There are two major problems with this iPhone "upgrade." First, the iPhone 7 rumors so far don't tell the story of a significantly different phone, despite Apple's pattern of refreshing the design every two years. It's reportedly holding off until iPhone's 10 year anniversary in 2017. That's going to drive sales in the short term. Second, if iPhone 7 is indeed waterproof, there's even less reason for new iPhone users to upgrade in the long term. Plenty of people we run into are carrying around an old iPhone 4S and iPhone 5 saying, "it still works fine for me." Apple is going to need a convincing argument to sell to these iPhone holdouts. Then, and only then, will it be able to reverse its shrinking revenue gains.